Pablo Sandoval went two-for-41 last year when hitting right-handed. He gave it up and ended up hitting better against left-handed pitching — because there really wasn’t any way for him to do worse. Even though it gave him better results last year, Sandoval is going to quit quitting switch hitting this season if that makes sense. In other words, he’s back at it. It looks like Sandoval is switch hitting again. Oh boy, the Red Sox are in for a treat. It’s tough to imagine Sandoval completely reinventing himself as a player though because even in his best seasons, he struggled to hit left-handed pitching (.673 OPS lifetime). Throughout his career, Sandoval has been best known for his ability to hit right-handed pitching. Even as he struggled through last year, he was quite decent against righties — posting a .744 OPS against them. But statistically speaking, it was probably the worst year of Sandoval’s career. He seems to be making changes though. He cut 20 points this offseason which could make him a little bit more nimble and less of a liability in the field. The Red Sox signed Sandoval to a five-year deal worth $95 million prior to last season. Certainly, they are hoping to see better results from him than they did in 2015 when he posted a -0.9 WAR. If he can’t hit lefties, that makes him no better than a platoon player. And the Red Sox have the pieces to make that happen this season (Brock Holt and Travis Shaw). And if he can’t play the field, then that would make him totally useless — like last year. Sandoval still has a lot to prove in Boston. After all, this is the guy who got suspended for a game for liking a picture on Instagram during a game. 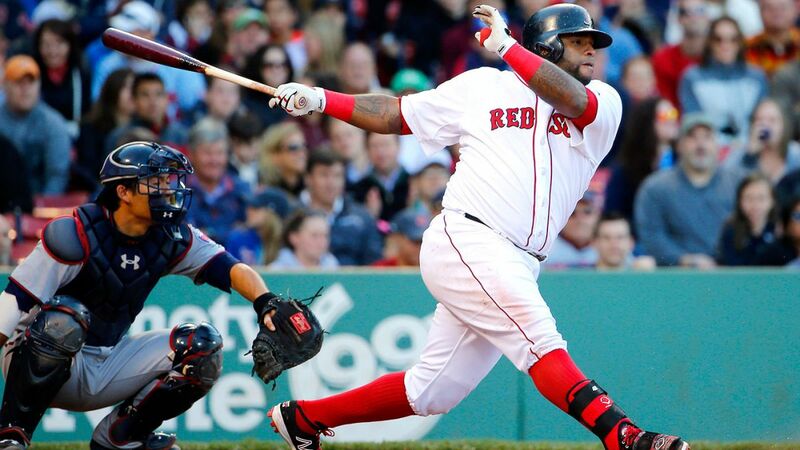 Sandoval is expected to arrive in Spring Training on Saturday. And he has a lot to prove.